There is not much to go on in the brief Castanet article reporting on the bicycle/SUV collision on August 8, 2011. My comments and opinions in this column are based entirely on the facts contained in the Castanet article that I have taken no steps to independently research. “the cyclist was traveling too fast in the bike lane”. I haven’t talked to anyone, including the woman cyclist who was reported to be in the Kelowna General Hospital with injuries arising from the collision. According to an RCMP representative, “the lady is lucky she wasn’t more seriously injured”. From the brief Castanet article titled: “Cyclist runs into SUV”, it seems as though there is a consensus that the injured cyclist was at fault. The cyclist was travelling northbound on Lakeshore Road. The SUV was travelling in the same direction. Witnesses apparently went on to say that the cyclist almost hit another car before she struck the SUV that was turning right onto McClure. The picture painted by the briefly told story is one of a reckless bicyclist. She was riding her bicycle too fast. She almost hit one car before she ran into the SUV. She was one lucky lady that she wasn’t more seriously injured. The conclusion not stated in the article, but likely to be drawn by readers, is that she learned a tough lesson. She sure did learn a tough lesson. She learned that the Okanagan is an extremely dangerous place to ride a bicycle. 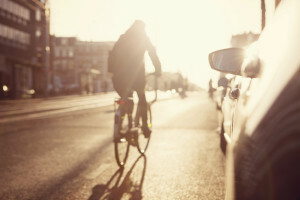 She learned that motorists fail to give bicyclists the care and respect they are entitled to. She learned the lesson my former receptionist learned, who was run off the road on her way home during “bicycle to work week” and suffered a brain injury. She learned the lesson I learned when a car swiped by me so close its mirror tagged my handle bar as I rode my bicycle for the last time on Highway 97. See, the basic facts set out in the news article paint an entirely different liability picture for me. Based on those facts, I have trouble imagining how the bicyclist could have been at fault. I repeat myself, of course, that I don’t know all the facts. I know only the facts set out in that article. What could it mean that the cyclist was travelling too fast? The speed limit along that portion of Lakeshore Road is 50 kms/hour. Unless she’s an Olympic level bicyclist and was sprinting to the finish line, I doubt she was going more than the speed limit. She was in a designated, clearly marked bicycle lane. Not only would she have been clearly there to be seen by the driver of the SUV, but all motorists along Lakeshore Road are alerted to the likelihood of bicycle traffic by the specially dedicated lane. The bicycle lane separates these circumstances from the reported case of Dolphin v. Lepine  B.C.J. No. 103, where Justice Burnyeat found the bicyclist and motorist equally at fault when a right turning motorist cut off a bicyclist on a busy thoroughfare with stop and go traffic. When assessing equal liability, Justice Burnyeat noted that the bicyclist was passing the motorist on the right contrary to section 158 of the MVA. S. 158(1)(b) prohibits passing on the right unless there is a lane where the right passing driver is permitted to drive (such as any two lane street). The cyclist we’re talking about was in a designated lane where she was not only permitted, but was required to ride. Of course, the bicycle lane does not entitle bicyclists to plough ahead into situations that they know are dangerous. If a cyclist has reason to believe that a motorist is going to cut them off, of course the law requires the cyclist to protect herself and yield to the errant vehicle. In these circumstances, though, did the cyclist have any idea the SUV was likely to cut her off? What do you think? Do you think she had a death wish? There is definitely a lesson to be learned here, but not by the injured cyclist. 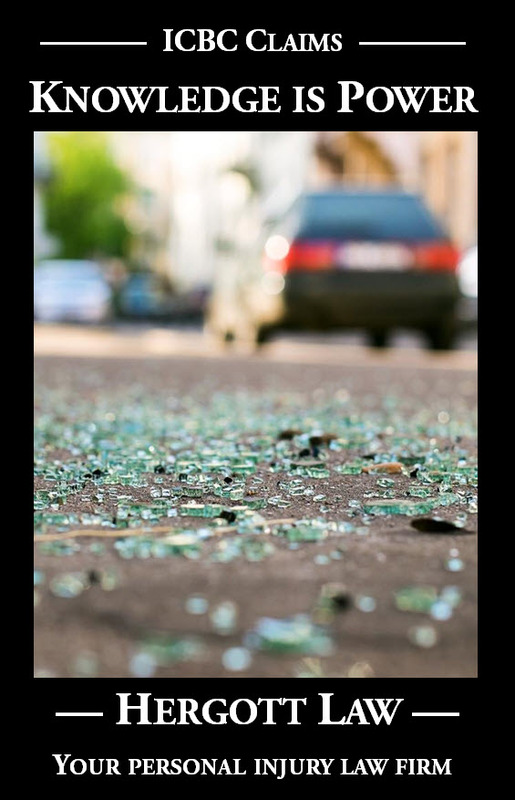 Take the responsibility that driving a motor vehicle demands. I encourage that we all take it a step further. I really don’t care what the circumstances are, bicycle lane or no bicycle lane, yield to the environmentally conscious souls who pedal themselves from place to place in our community.